By Jake Rocheleau in Toolkit. Updated on May 18, 2018 . I always like to grab a full screenshot of awesome websites I find online. But the “print screen” button only grabs what’s directly on your screen. Full Page Screen Capture is the best solution I’ve found that lets you grab 100% complete vertical screenshots from any webpage. 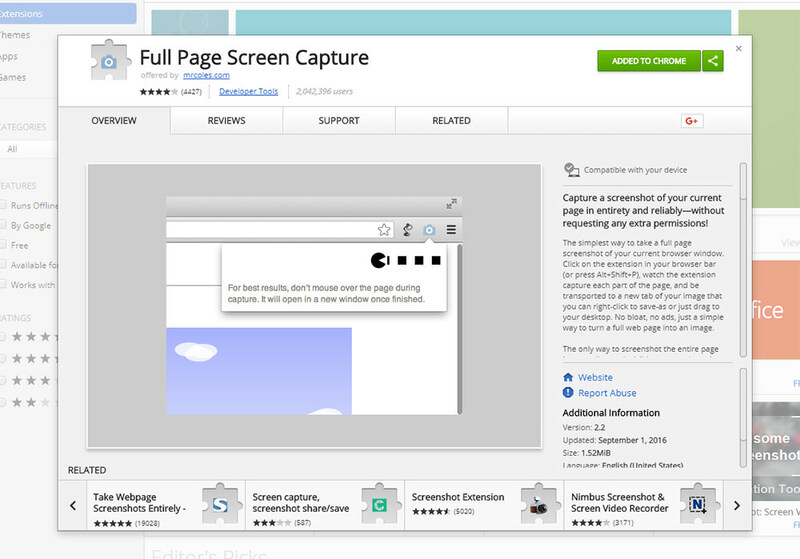 With this extension, you just visit the page and click the small camera icon in your extensions pane. Easy-breezy with no limitations. The extension is totally free and should work in all versions of Chrome including dev versions. It also comes with a handy shortcut command Alt+Shift+P that automatically pulls the screenshot of any page you’re on. This extension captures the page by auto-scrolling up and down grabbing images as it goes, then piecing them all together in one final shot. This process can take a few seconds depending on the size of the page. I’ve found it’s pretty quick on sites that don’t have too many dynamic features. Once it’s complete you’ll find the snapshot opened in a new tab in Chrome, ready to copy or save straight to your computer. One thing I’ve noticed with this plugin is that you have to pay attention to animated objects. Certain page elements like slideshows will auto-scroll between photos and can mess up your final shot. Granted it’s not so difficult to piece this together with one more screen on your own. But sometimes you’ll have annoying features like sticky navbars that appear in every new section of the page, ruining your fullview shot. To solve this I head into Chrome’s DevTools panel and edit the CSS for the fixed bar to keep it static. Might take a little extra work but my screenshot comes out pixel perfect. 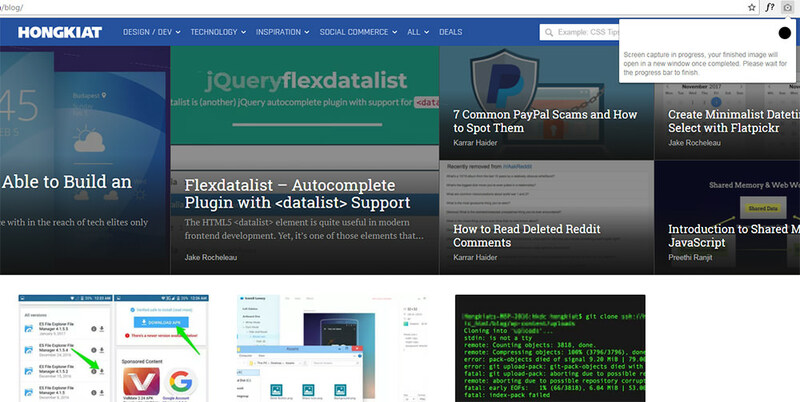 If you frequently take screens of websites this extension will prove to be a huge timesaver.